From the very first day she was allowed to speak with clients at her new law firm job, Michele Stephens wondered if she was doing something unethical. By the time she quit, nearly a year later, she no longer had any doubt about it. “I was told to lie again and again,” she said. Stephens claims she took part in what consumer groups and federal regulators say is an especially ruinous scam, directed by lawyers, meant to defraud desperate and broke homeowners. Reading from a six-page script, Stephens told hundreds of clients solicited by The Hoffman Law Group of Palm Beach, Florida, that the firm was suing banks on their behalf, seeking compensation for mortgage abuses. This aggressive litigation was all made possible, she would say, by the fees homeowners paid to support the cases – $6,000 up front, plus $495 a month. But the lawsuits eventually filed by the firm lacked many of the most basic required elements, such as detailed information about each client’s situation. The strategy never had a shot at accomplishing what was promised, Stephens said she eventually determined. It wasn’t long before judges began tossing the cases out of court. Stephens maintains the operation at Hoffman Law was a fraud from the outset. Though her allegations have not been proven, her account, also described in letters she wrote to many state attorneys general, offers rare insight into the inner workings of a firm that has drawn the scrutiny of judges and state investigators. The final straw, Stephens said, came when she spoke to a client who told her she was surviving on oatmeal to afford the fees. “It was all a load of crap,” Stephens said. 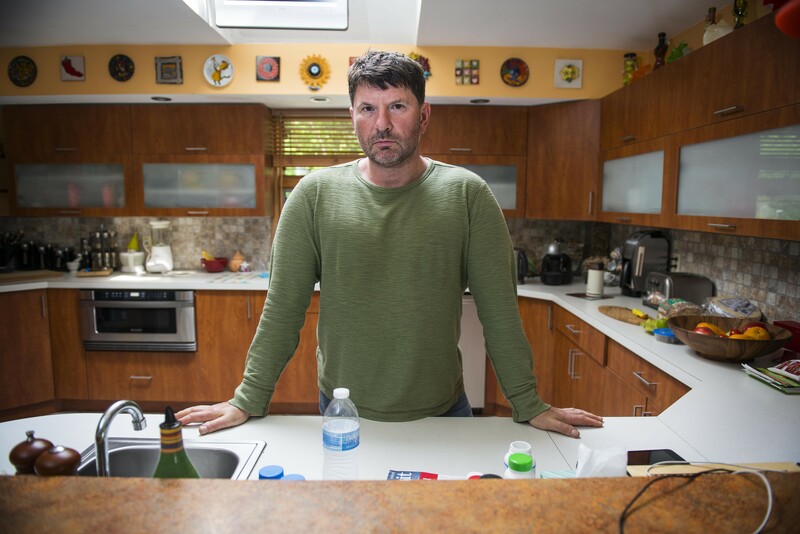 The foreclosure epidemic that swept the U.S. after the financial crash has ebbed, but the business of preying on struggling homeowners remains a thriving concern. 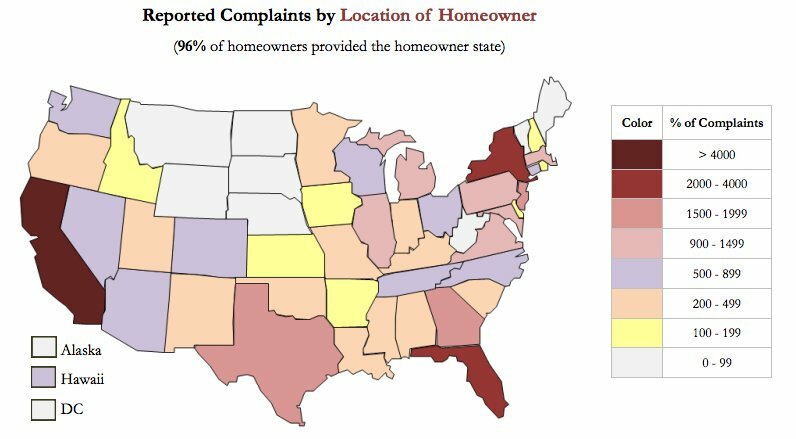 Since 2010, more than 40,000 homeowners have complained they were scammed by someone promising to offer foreclosure assistance or help them with a mortgage modification, according to an analysis of calls to the Homeowners Hotline, a resource for struggling borrowers. The most costly of these foreclosure rescue scams — and now the most pervasive — involve or are directed by attorneys, according to the analysis, which was conducted by the Lawyers’ Committee for Civil Rights Under Law, a group that helps monitor the hotline. Last year, nearly 60 percent of all complaint calls to the Homeowners Hotline involved a lawyer, the group found. That’s up from 40 percent in 2013. The average loss claimed in schemes involving or directed by lawyers was $3,601 — about $800 more than in other types of deceptions, according to the analysis. The schemes exploit the needs of untold thousands of people who have tried to refinance their mortgage under a government-sponsored program like the Home Affordable Refinance Program (HARP), only to be met with endless and costly frustrations — including issues like lost paperwork and overcharges that in some cases have led to wrongful foreclosures. A recent report by the California Reinvestment Coalition found that banks continue to make foreclosure-related mistakes, despite many pledges of reform. In phone calls and direct mailings, lawyers claim they can help. “We have special relationships with banks that can speed up the approval process,” reads one such ad, cited by the Federal Trade Commission in a bulletin warning against such offers. Recruiting clients to sue banks as a group is a variation on this scheme. Lawyers promise these “mass joinder” lawsuits will force banks to stop foreclosures and cut loan balances. Some borrowers have even been told they could walk away with the title to their home, free and clear of any debt. All of this could happen in a matter of months, the attorneys claim. But such claims are bogus, advocates warn. “Run away as fast as you can” if approached to participate in such a case, said Linda Mullenbach, an attorney at the Lawyers’ Committee. Valid mortgage fraud cases are filed only after extensive research into often messy and confusing mortgage documentation. They typically take years to reach a conclusion. Federal prosecutors recently charged seven people, including one lawyer, with operating a mortgage modification scam outfit on Long Island that cost homeowners $2.3 million. But such frauds otherwise haven’t attracted much scrutiny from law enforcement officials, who have signaled they have more pressing priorities. The Federal Bureau of Investigation has consistently ranked mortgage fraud as the lowest priority criminal threat, according to a recent report by the Justice Department inspector general. Such negligence has let schemes fester, consumer advocates warn. The uptick in involvement by attorneys, who are being recruited to front what are essentially marketing operations, adds an extra wrinkle, making it even more difficult for prosecutors, and homeowners, to sniff out scams. According to Stephens, the real power at Hoffman Law is a former mortgage broker named Michael Harper. Harper is not an attorney, Stephens said. (He is not licensed to practice in Florida, according to the state bar, and his name does not appear in any national register of lawyers.) According to Florida public records, he has started several businesses that promise “lead-generation” services — meaning getting lists of people who might be susceptible to a certain type of sales pitch. He recruited Hoffman Law, Stephens claims, to front an enterprise that would use such lists to identify and recruit clients to sue banks. The Florida Bar Association issued an alert last year warning against such arrangements. Attempts to contact Harper through Hoffman Law were not successful.Stephens claims the firm failed to offer the most rudimentary legal assistance to its clients. The firm’s website touted her as a foreclosure expert, she said, when in reality she was a recent law school graduate with hardly any experience at all. When she asked her supervisors what to tell clients about the status of their cases, she was put off. “The answer was always that it will take 30 to 60 more days,” she said she was told. Vadim Govorov, a homeowner from Staten Island, New York, said he paid $6,000 to Hoffman Law to fund one such lawsuit, which was filed in Brooklyn federal court in October on behalf of 36 people. Govorov, who is facing foreclosure, said he signed up after he received a call last spring from an operative at the firm. He said he was told a reduced-cost mortgage was all but certain if he agreed to join the case. The lawsuit that bears Govorov’s name accuses JPMorgan Chase and other banks of intentionally botching loan-modification applications. Five months later, in March, the firm abruptly withdrew the lawsuit. Until notified by his new attorney at a legal nonprofit, Govorov said he wasn’t aware that the case was withdrawn. He hasn’t gotten the refund he requested from the firm, he added. All told, the Palm Beach firm has filed at least 32 such lawsuits, a HuffPost review found. The legal complaints contain nearly identical language and essentially no details about the individual plaintiffs — a key requirement of a valid lawsuit. Almost all of these cases have been dismissed or withdrawn. Earlier this year, the Idaho Department of Finance issued a cease and desist order to Hoffman Law after an investigation concluded the firm was violating a state law that makes it illegal to use a bank’s name in an advertisement — in this case a direct mailing to homeowners promoting the law firm — without consent. The Florida attorney general is also investigating the firm, a spokesman confirmed. Marc Hoffman, the head of the firm, said in a brief phone conversation that he would try to arrange a conference call to answer questions about the allegations. He then sent an email asking that questions be submitted in writing, so that he could explain how his firm has been “seeking to alleviate through the courts the stresses that so many home owning consumers find themselves in with respect to their mortgages.” He did not respond to subsequent emails. The phone at the firm has been disconnected. Two Brooklyn attorneys who filed cases on behalf of Hoffman Law, Michael Herskowitz and Michael Lehrman, did not return calls left with their office. Stephens said she’s now being investigated by the New Mexico Supreme Court Disciplinary Board for allegedly practicing in the state without a license.